A lighting solution for better sleep schedules. 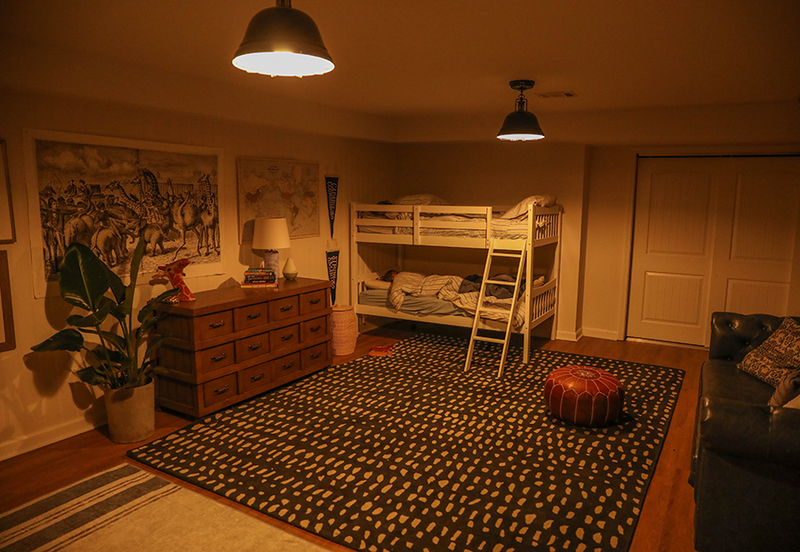 We recently stumbled upon Philips Hue smart lighting while researching creative nightlight solutions for our children. 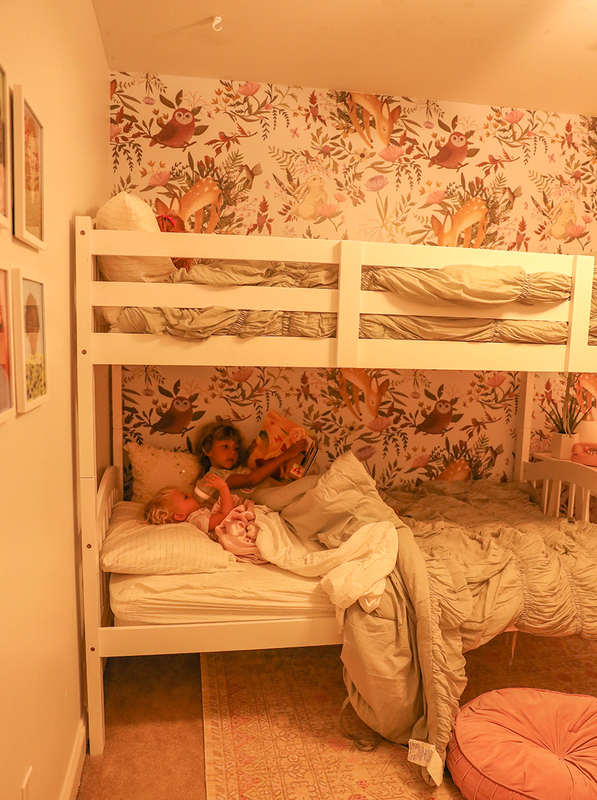 Our standard plug in nightlights were always getting lost (Rocco and Zelie found it very amusing to steal and hide them), causing an extra layer of craziness in an already crazy bedtime routine. With school starting back up for Gabriel, Veronica, and Max, we needed to find a better solution than hunting down hidden nightlights. 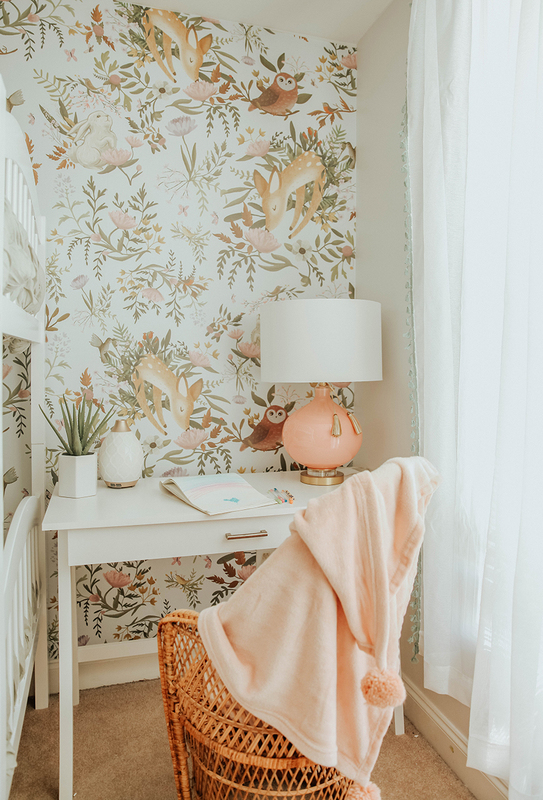 Routines can make all the difference with 5 children, especially when it comes to starting and ending the day smoothly. I was mainly looking for a new lighting option that I could set the brightness and color tone, and that could automatically turn on and off at set times. We discovered Philips Hue smart lighting, which seemed to have everything we were looking for! After hooking them up and doing some exploring on the app, I discovered that I could customize it so much more than I ever thought possible … so much more. (Cue up the crazy scientist laugh.) If you have not already picked up on it, I looooove things I can customize! Especially if it allows me to streamline life a bit. Extra-double bonus points if it makes wake up and bedtime easier! The control over the color settings of the lights is like nothing I have seen before. Why is this important? Because too many night time lights are shades of blue. Shades of blue are not conducive to a restful night’s sleep because we relate it to wakefulness or alertness. Think of a bright blue cloudless summer sky. Does that evoke a desire to sleep or rest? But on the other hand a nice soft, dim, warm, golden glow with a hint of orange (like a sunset! ), makes us naturally feel cozy and relaxed. This type of lighting promotes a more quality sleep. I have even created my own shade of light and saved it as a preset that I call “Sleepy Bear” (wink wink). I can set timed bedtime routines that actually help my children wind down and fall asleep. First I set what Philips Hue calls a “scene”, or a color/brightness combination that is preset within the app, or one I have created on my own. “Sleepy Bear” is an example. Next, I set it to gradually dim over a period of 30 minutes, helping the kids wind down for sleep. It works as an automatic sleep timer, and I can create and save as many routines as I want, and even assign different routines to different individual bulbs! Morning roll call has become a snap with the school aged kids by setting morning routines just for school days. We basically use these lights as alarm clocks now. At 6:30 we have the lights turn on at roughly 70% brightness with a “scene” that uses more blue and bright yellow color tones. I call this scene “Morning Dragon Breath”. Over the course of 15 min the lights will gradually brighten to 100% giving my children the chance to wake up. This has been working so well that all three of our school aged children, ages 9, 7, and 5, are usually all dressed and bright eyed in the kitchen by the time Anna and I stumble in desperately searching for coffee. Bonus Feature: So I am still working on perfecting this one, and am very excited to do so, but you can set the Philips Hue lighting to sync with music, movies and games. The colors from the lights create immersive entertainment experiences. Liesemeyer Family Dance Parties are going to be dialed up to 11 with this one! 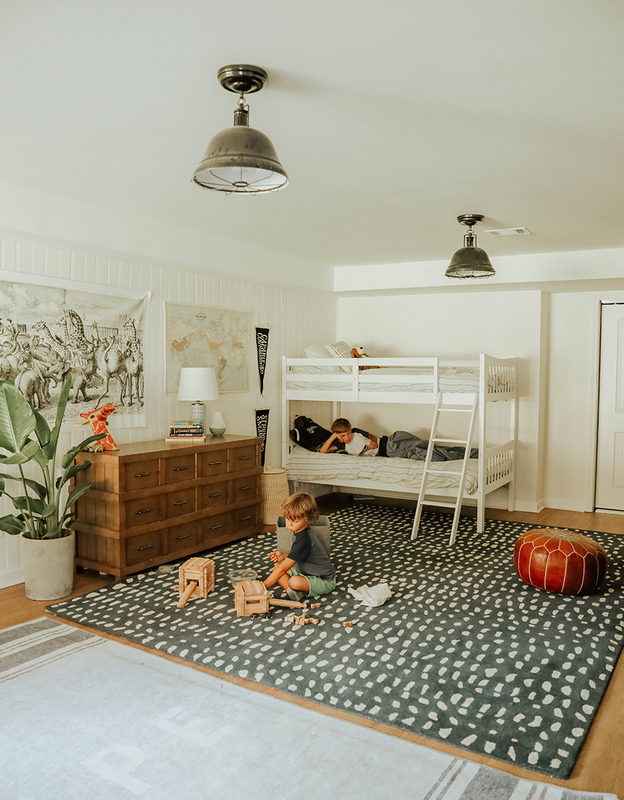 We hope this was a helpful solution to getting better sleep routines and school schedules established in your homes, and maybe even some extra winks of slumber as a result! A big thank you to Philips Hue for sponsoring this post! Loved the post-such a great idea! Quick question. Where did you get your bunk beds? We’ve been looking for a good option for our two littles who will soon be sharing a room! Thanks! Hi Kari! They are from amazon! 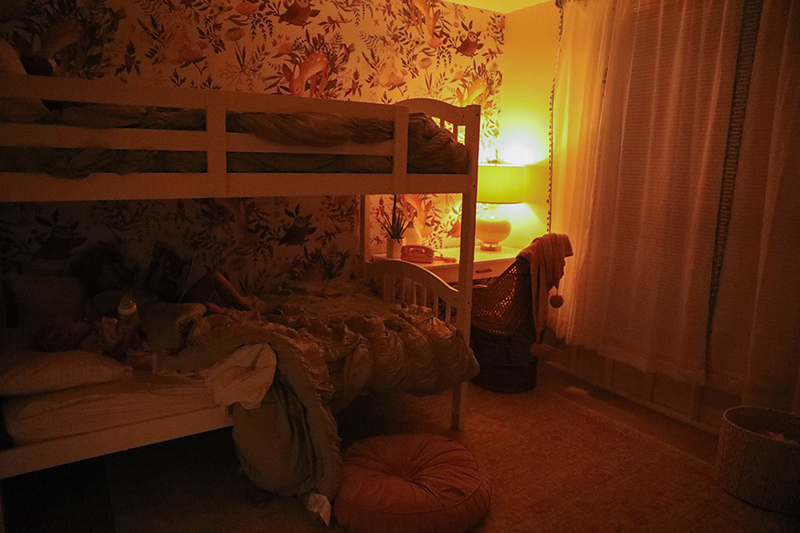 Linked everything from there room here: http://inhonorofdesign.com/2018/06/girls-room-update/ Hope that helps!